Even the new Samsung Galaxy Note 7 units seem to be unfit for general use. Last week has been a disastrous one for Samsung and its current flagship the Galaxy Note 7. Even the new model that was said to be safe to use, exploded in five cases and caused injuries. Tech magazines recommend to stop using them and get a refund. 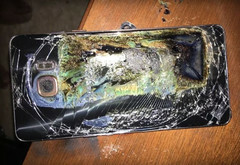 As of today five confirmed cases of "new" Galaxy Note 7 models exploding and burning out have been reported in just one week. Four of those five cases happened in the USA, one was reported from Taipei, Taiwan. 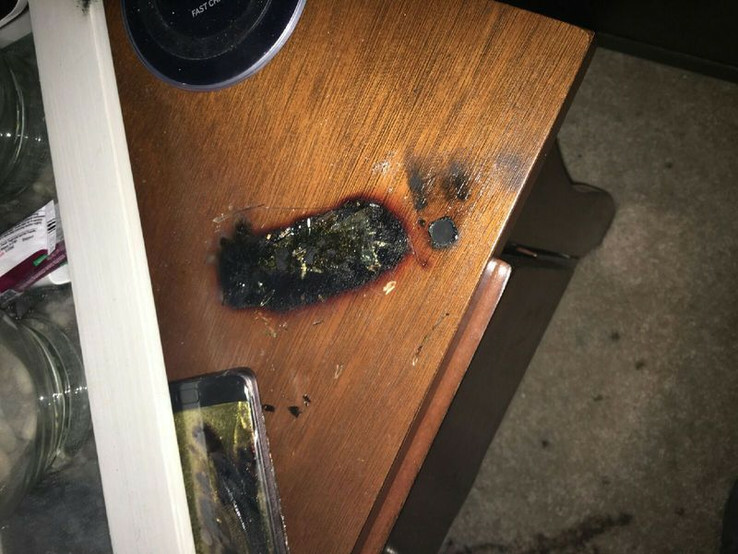 In at least one case, the owner of the smoking phone had to seek medical help due to the heavy smoke that woke him in the middle of the night. All of these incidents happened with the "new" and exchanged Galaxy Note 7, that had marks on the packaging to distinguish them from the older model and were deemed safe to use by Samsung. This led editors from The Verge and Android Police to criticize Samsung for their lack of proper response. They also warned current owners of the Galaxy Note 7, new or old, to stop using the phone, get a refund or exchange it against a different phone altogether. Android Police listed a few reasons why owning a Galaxy Note 7 might even be a bad choice economically in the long run: resale value might be low, updates might not happen in the future and airlines might not let you use them on planes. The Verge called the Galaxy Note 7 a fundamentally defective product and wants it pulled from the market altogether. > Notebook / Laptop Reviews and News > News > News Archive > Newsarchive 2016 10 > Samsung Galaxy Note 7 units still exploding: Stop using them!